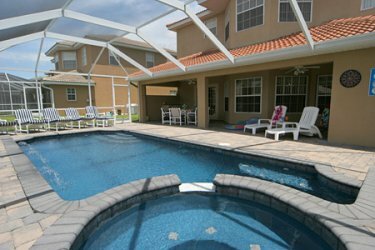 Treat yourself to the comfort of a luxurious private vacation home conveniently located 10 minutes from the Disney theme parks in Orlando. 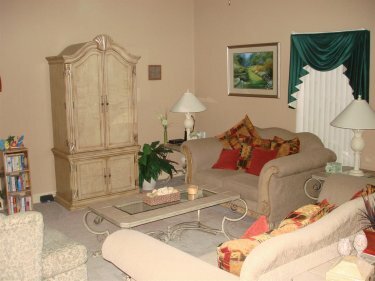 At 2,800sq ft, our spacious home has been furnished by an interior designer and features four bedrooms (2 master, 2 twin), five bathrooms, elegant living & dining areas, fully equipped kitchen, built-in electric barbeque & a private, heated & screened swimming pool with jacuzzi & oversized pool deck. 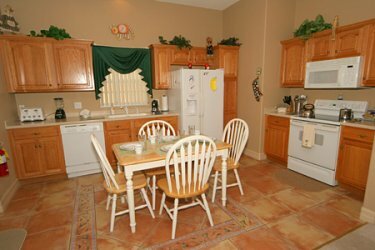 Vistapark Resort is situated in a peaceful location just off US Highway 27 and 1 minute south of the intersection with 192 West. Shops, restaurants, banks and post office are less than 3 minutes away. There is a 24 hour Walmart Supercenter and a Publix supermarket both within 2 minutes of the house. 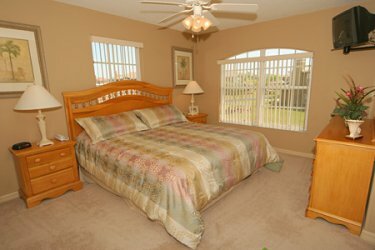 Vistapark is in close proximity to many golf courses and an hours drive to the beaches of the Gulf of Mexico and the Atlantic Ocean.